Become a U.S. Department of Transportation Substance Abuse Professional! Safety is the first priority of the U.S. Department of Transportation (DOT). To ensure that transportation providers employ workers who are 100% drug- and alcohol-free, the DOT developed regulations for a Alcohol and Drug Testing Program and created the position of Substance Abuse Professionals (SAPs) to assist those who are identified through this program as having a problem with drugs and/or alcohol. Provide the employee and employer with recommendations for continuing care. National-level certification through the NAADAC Certification Commission for Addiction Professionals (NCC AP) or the International Certification & Reciprocity Consortium (IC&RC). Note: State level certification does NOT meet DOT requirements. Clinical experience in the diagnosis and treatment of substance abuse-related disorders. Understanding how the SAP role relates to the special responsibilities employers have for ensuring the safety of the traveling public. The nine required components laid out in Section 281 (c), Part 40 of the DOT's agency regulations, SAP guidelines and any significant changes to the SAP guidelines. Note: Degrees and certificates alone do not confer these knowledge requirements to you. Receive SAP training with NAADAC’s Substance Abuse Professional’s U.S. DOT Alcohol and Drug Testing Regulation Qualification Independent Study Course, which includes a bound manual and validated 100-item written examination. Receive SAP re-qualification training every three years with NAADAC’s Substance Abuse Professional’s U.S. 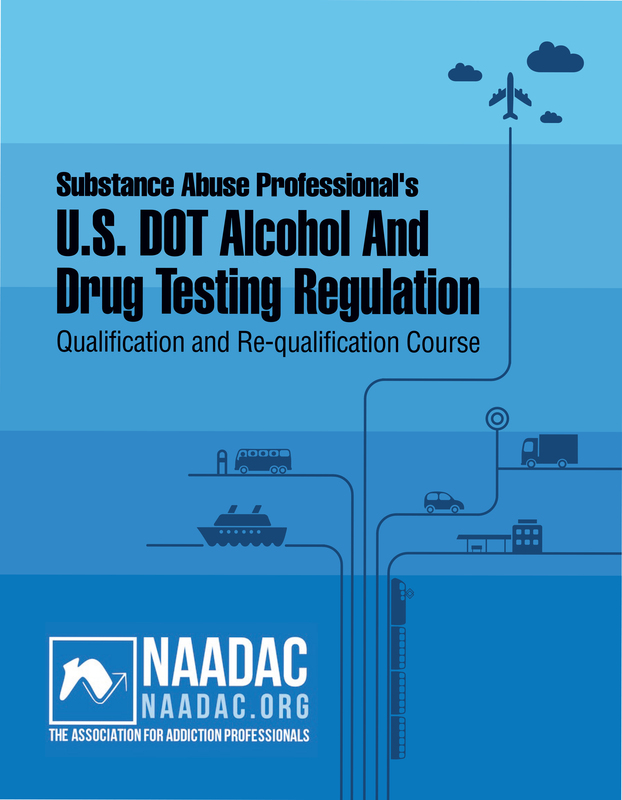 DOT Alcohol and Drug Testing Regulation Re-qualification Independent Study Course, which includes a bound manual and online 25-item examination. For more information on becoming a Substance Abuse Professional (SAP), follow the above links, call 703.741.7686 Option 1 or email naadac@naadac.org.